That “big one” is a prohibition on local residential building design and restrictions. In recent years, many local governments have sought to impose restrictions on such building features as exterior material, color schemes, the location of garages, window spacing and facade design through the use of ordinances. Another consideration is that if a resident’s existing home is destroyed by a fire or natural disaster, the insurance may only cover the cost of rebuilding the original structure. New zoning restrictions put in place after the destroyed home was built mean that the homeowner potentially would be responsible for any additional costs to make it comply to the new regulations. And it’s not just affordable housing and the construction industry taking hits from these local laws. Among others affected are the vinyl siding industry as well as other companies that manufacture some of the offending materials. “There are a lot of jobs being impacted by this,” Ledford said. Although Smith hasn’t submitted his bill, Ledford believes it has a very good chance of passage. After months of hearings conducted by the House Short-Term Rental Study Committee, it is anticipated that a bill will soon be introduced that will impose legislative restrictions on Airbnb and similar companies. Some items that could be on that list include a limit on the number of rentals in an area, noise restrictions, safety inspections and the need to pay a hotel-motel tax. Johnson said that the committee’s report is complete and he’s anticipating legislation to pop up at some point in the session. Last year the General Assembly passed legislation concerning homeowners’ association closing letters, but it was vetoed by Gov. Nathan Deal. 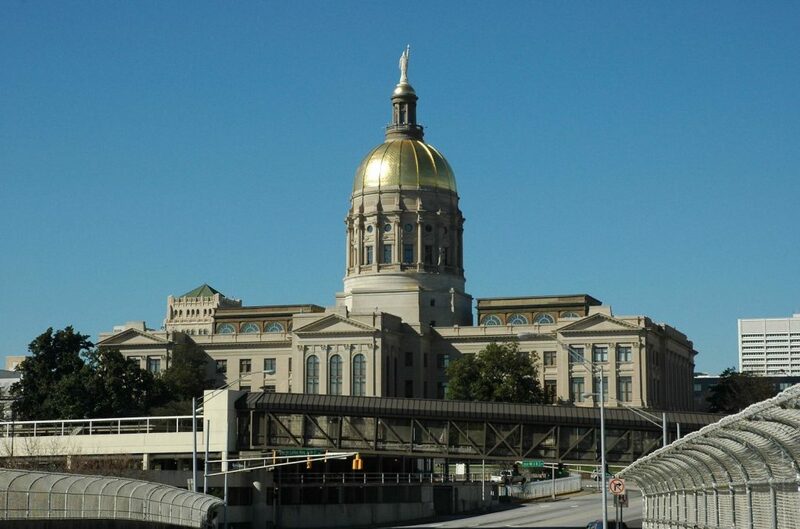 The sponsor of that bill, Rep. Alan Powell (R – 32), recently noted that because of Georgia Realtors bringing awareness to the HOA closing issue, the state’s attorney general sent out letters of investigative demand to HOA management companies and there is talk of a possible class action suit on the horizon. A seller must obtain a letter from a management company saying that their HOA fees are up-to-date. New legislation on this topic would likely aim at getting some sort of uniformity on HOA letters sent to those selling a home and ensuring that the homeowner pays a nominal fee for that letter. Since management companies currently have no stated deadline, they can delay the letter and then offer to expedite it for an extra fee. “You can go from $10 to $250 to as much as $1,500, all because [homeowners] need that letter and the management companies don’t have to deliver that letter within a certain timeframe. It’s just a revenue stream for these companies,” Johnson said.